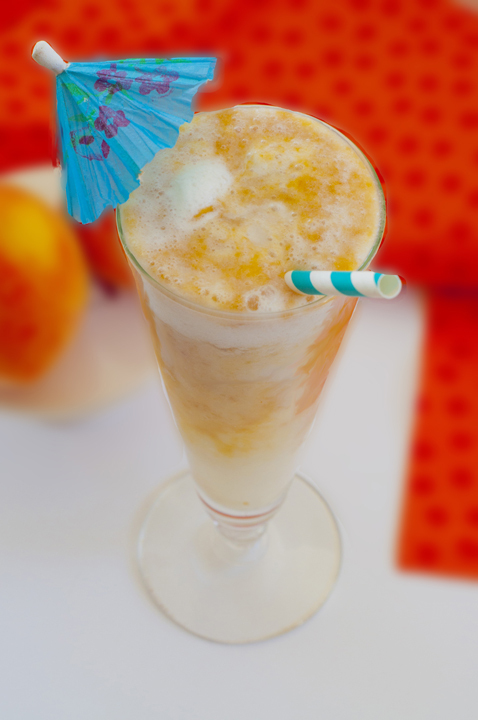 Peach Lava Flow drink recipe is a homemade variation of my favorite summer drink I love to order when on vacation – especially on cruises! As most of you know, my husband and I love to cruise (Royal Caribbean all the way – and no, this is not an ad :)). We are absolutely, positively addicted to them. I firmly believe that they are some of the most relaxing, yet exciting vacations I have ever been on. They give you that healthy balance of adventure but the option to do nothing but lay by the pool and relax if you so choose. The food is awesome and the drinks are even better. Speaking of drinks, the first thing I do on a cruise at the sail away party is order myself a nice lava flow. I don’t know what other cruise lines offer, but Royal Caribbean has a Strawberry and a Mango version of the Lava Flow. It’s basically a Piña Colada with fruit puree mixed in. I have a peach tree growing right in my backyard – yeah, pretty cool. Every summer I need to dig deep into my brain (and Pinterest) to come up with new ways to use up the bazillion peaches that little tiny tree produces (I have lots of peach recipes here). A good problem to have, am I right? I decided to make a Peach version of my beloved Lava Flow. The first time I ever made a Piña Colada at home without using the mix you buy in the drink aisle at the grocery store I vowed to never go back. I now make them with cream of coconut and coconut milk (the “real” way) and the taste is 395929691 times better! I just make sure I have those ingredients forever in my pantry for when I’m in the mood for one. Priorities, people. 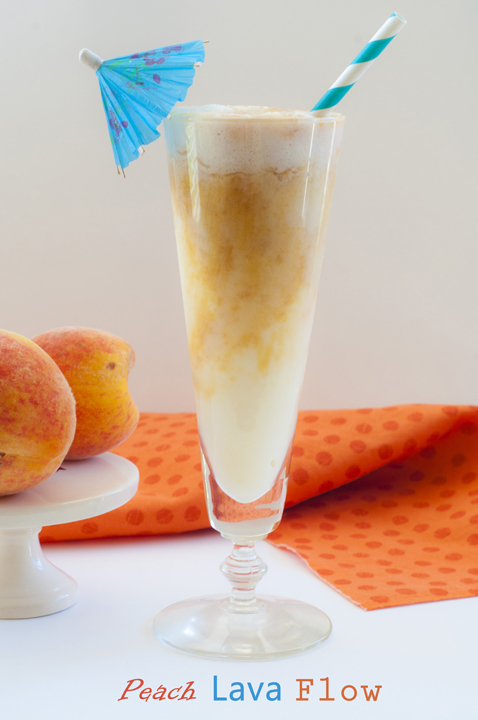 If you’re loving this, you have to try my Frozen Peach Daiquiri! Peach Lava Flow drink recipe is a homemade variation of my favorite summer drink I love to order when on vacation - especially on cruises! Boil the peach slices and then lower the heat. Let the fruit simmer for 2 minutes or so until very soft. Remove the pan from the heat and leave it to cool for 30 minutes. Use a blender or food processor to puree the peaches. 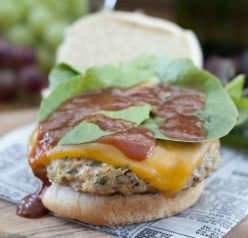 Use the peach puree within the same day, refrigerate up to 24 hours, or freeze it for up to a month. Use canned peaches if fresh are not available. 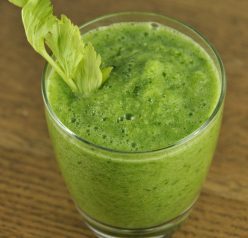 Just skip straight to pureeing it in the blender/food processor. Fill blender halfway with ice cubes. Add rum, coconut cream, coconut milk and pineapple chunks. Puree until well blended and no chunks of ice remain. Pour piña colada mixture into glasses ⅓ of the way up, fill the next ⅓ up with with peach puree, and top off the final ⅓ of the glasses with the rest of the piña colada mixture. Garnish with fresh fruit or little umbrellas, if desired, and serve immediately for best results. Enjoy! Yum! I’m at work now but would love to sip this drink at my desk right now! 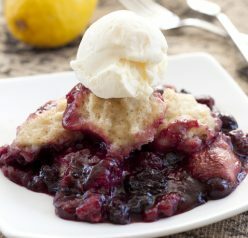 I need to go home and make one of these tonight! Oh my gosh, this looks SOOOOO good! I need to try this. I saw this one on Instagram yesterday, and I’ve been thinking about it ever since. It looks amazing, Ashley! Also, you have a peach tree in your backyard? Awesome! We have a nectarine tree, but it’s yet to produce fruit. I’m not sure what’s up with that. It’s huge and happy, but no fruit yet. Oh well, I’ll just swing by the store this afternoon to pick up some peaches because this lava flow needs to happen this weekend! I’ve been on one Royal Caribbean cruise and it was so fun — I have no idea why I haven’t done it again? Using peaches from your tree to make a lava flow is such an amazing idea! This looks so creamy and delicious! I’m so excited to see/read this because not only does this cold drink look so pretty for this heat wave, we’re going on our first cruise this summer. I cannot wait and hope we love it as much as you do!